The alignment between Brazil and EU is crucial for businesses who wish to send the data between the two jurisdictions. 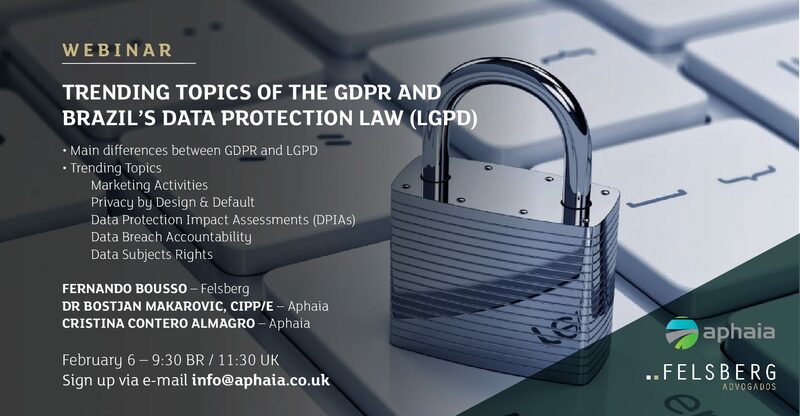 Aphaia and Felsberg have come together to deliver a GDPR LGPD webinar, that will deal with the main differences between the GDPR and the LGPD, in the case that the adoption of the bill of law brings into force the Brazilian General Data Protection Law (LGPD). Falsberg is a full-service law firm based in São Paulo, with more than 45 years of experience in Brazil, specialising in both traditional and unconventional areas of law, which puts the firm in an advantageous position to analyse the legal landscape from the perspective of the recently adopted LGPD. Aphaia has been providing GDPR adaptation services since its adoption in 2016 to a variety of companies in different sectors. 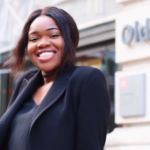 Aphaia has mainly focused on technological disruption, which has enabled the company to gain deep and applicable knowledge of the GDPR, the legislation that inspired the LGPD. Therefore, a webinar has been organised to analyse the similarities and differences between the two pieces of legislation. Secondly, key elements of privacy will be explained in detail, such as conducting impact assessments, procedures in the event of a security breach, rights of stakeholders, privacy by design and by default and commercial communications. The event will take place on February 6th at 12.30 pm CET. A must for anyone interested, to join in please send an email to info@aphaia.co.uk.